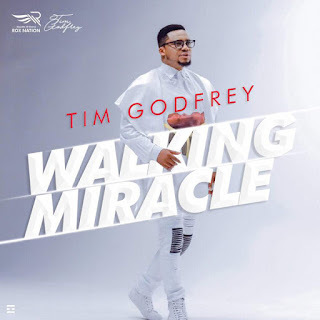 Tim Godfrey drops another single titled: "WALKING MIRACLE"
The Multi-talented recording artiste with the new single titled: “Walking Miracle” was produced by SMJ for Rox Nation. Walking Miracle serves as the 3rd single off Tim’s soon to be released Fearless Wrshp album. It’s a beautiful piece to help revive your spirit. This release kicks off a challenge #WalkingMiracleLyricChallenge in which the winner get an all expense paid trip to Port Harcourt, NIGERIA for the Official album/DVD release party/concert featuring TRAVIS GREENE.